Dr. Sullivan has a passion for bringing certainty to the chiropractic profession by educating on the simple science that proves the importance of chiropractic philosophy and the influence of an adjustment! Dr. Dan travels worldwide speaking to students, doctors, and the public about the power of chiropractic, the overwhelming evidence that supports it, and the necessity it should play in today’s healthcare. After graduating from Chiropractic College in 2004, he built one of the largest practices in the profession seeing over 1000 visits/week. 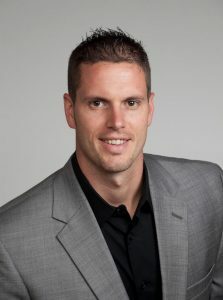 Dr. Sullivan also served as an official team Chiropractor for the U.S. men’s wrestling teams in the world championships in 2010 and 2011, and again at the London Olympics in 2012. Dr. Dan continues to study the science and research behind the spine’s influence on human health and the role of chiropractic. He is a graduate of The Academy of Chiropractic Philosophy Diplomate Program and his strategies and resources help hundreds of Chiropractors increase their certainty and results in practice each month.